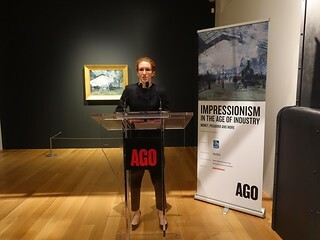 Many shows have been done on Impressionism but the AGO presents us with a first exhibition on how the Impressionists looked at the subject of industry and labour – in a nutshell it is Impressionism in the age of industry. In the second half of the 1800s, the architecture and infrastructure of Paris underwent a dramatic transformation. 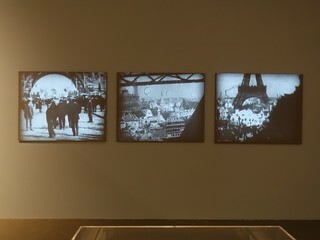 The reality is that Paris was changing unbelievably. 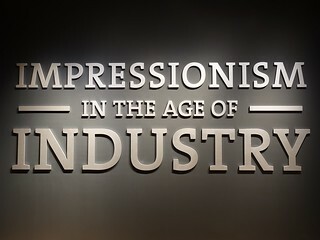 The story of industry has been largely left out of the early histories of Impressionism when those first authors focused on themes of leisure and recreation (such as in parks and along rivers) and that is what most people still today most associate with Impressionism. However those artists were equally captivated by modernity and industry and that is the story being told through this exhibition. 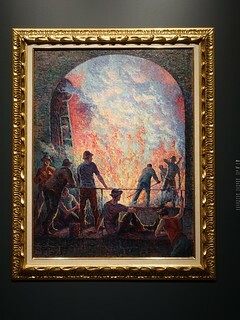 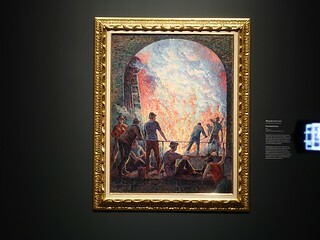 Artists embraced the innovations of industry and technology and captured the whirlwind of progress in their work. 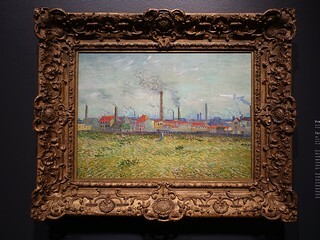 Train tracks sliced through their landscapes; smokestacks dotted their horizons. 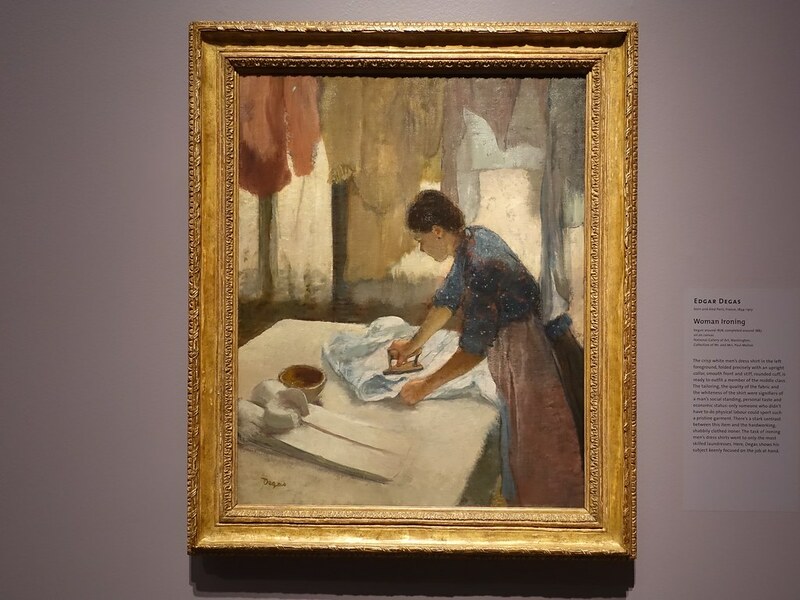 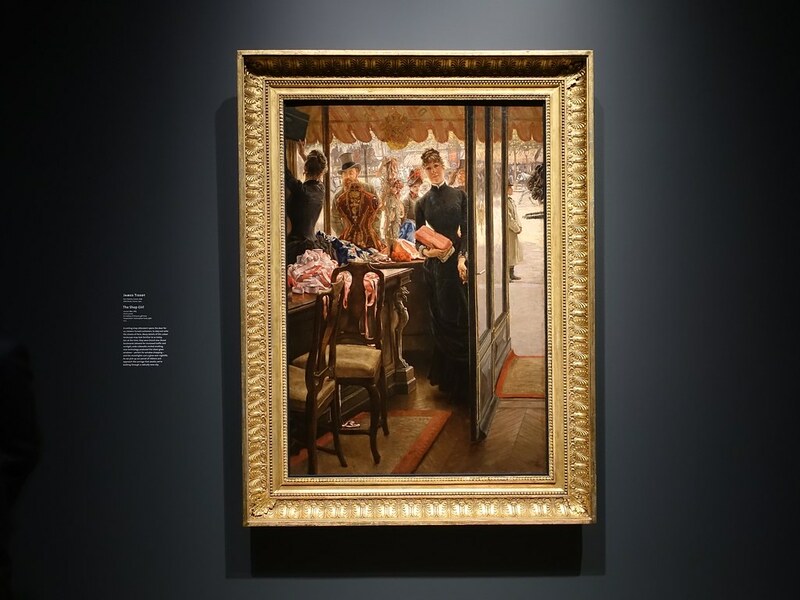 Artists also made heroes of the individuals – from laundresses to factory workers to rural labourers – whose work weaves together the fabric of French society. For this show, paintings have come from around the world and are shown alongside works from the AGO’s own collection. 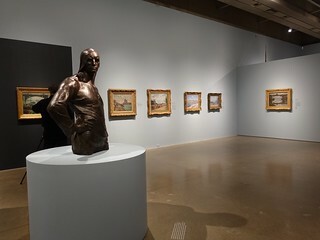 On display is a combination of multiple forms of artwork that includes paintings, but also prints, drawings, photographs, sculpture and period film. 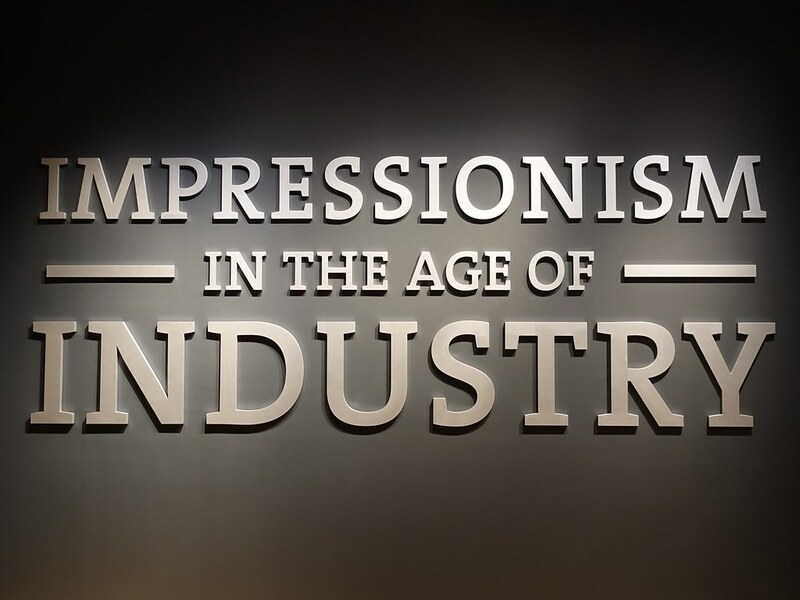 By having these different kinds of media we are able to see how the artists tackled the theme of industry from many different viewpoints. 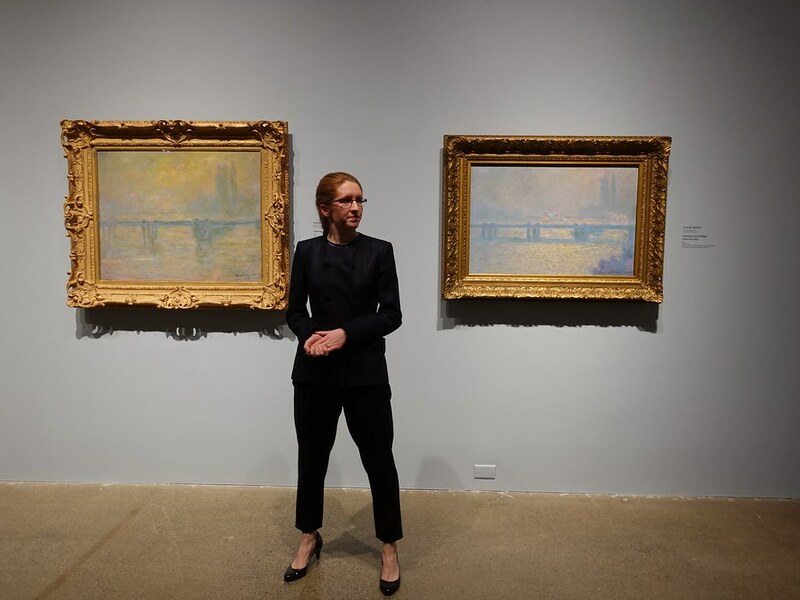 When we see all these works brought together what emerges is that the works are not just about industry, infrastructure, and machines, but that they are actually about the people behind all of that. The exhibition includes over 120 artworks of various media and presents works from a range of artists including Camille Pissarro, Claude Monet, Mary Cassatt, Edgar Degas, Georges Seurat, and many others. 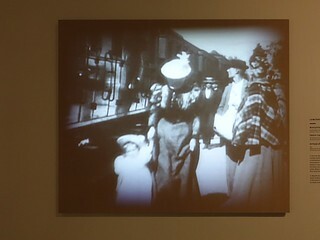 The exhibition begins and ends with Claude Monet. 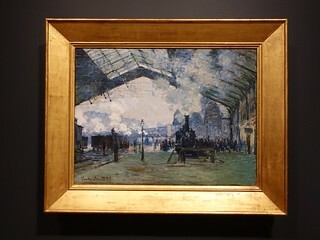 At the start of the exhibition is Monet’s “Arrival of the Normandy Train, Gare Saint-Lazare,” showing his quintessential frenzied loose brushwork. Monet commuted through this station regularly every time he wanted to go to Paris, so immediately we already start to see how the works of art in this show are part of the artists’ lived experience. 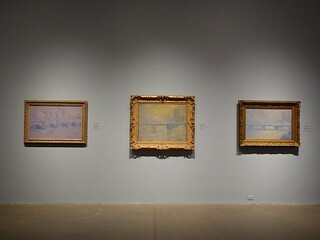 The show also ends powerfully with the AGO bringing together three Monet paintings from his trips to London. This would have been the first time he returns to industrial subjects since he painted the afore-mentioned painting that the exhibition opens with. 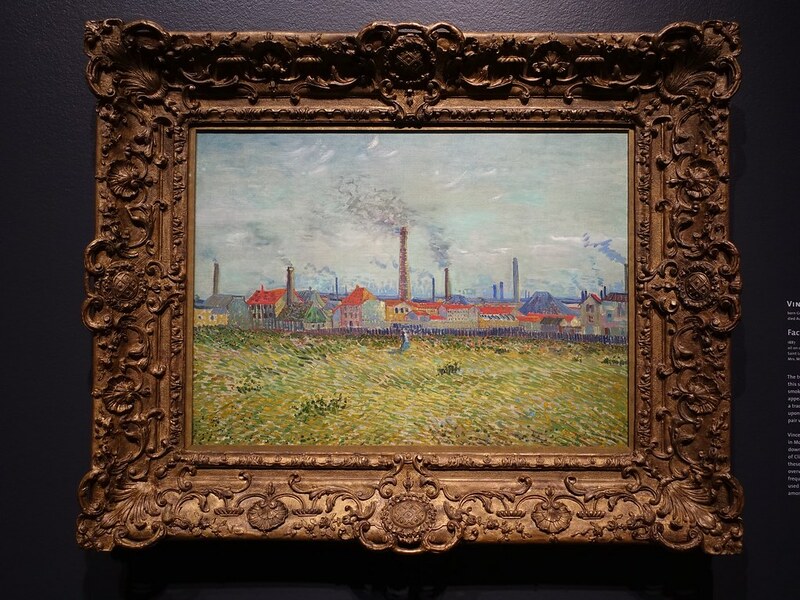 He took a 23 year break from industrial subjects and returns to them in London, in a city famous for its industrial revolution but also infamous for its smog. 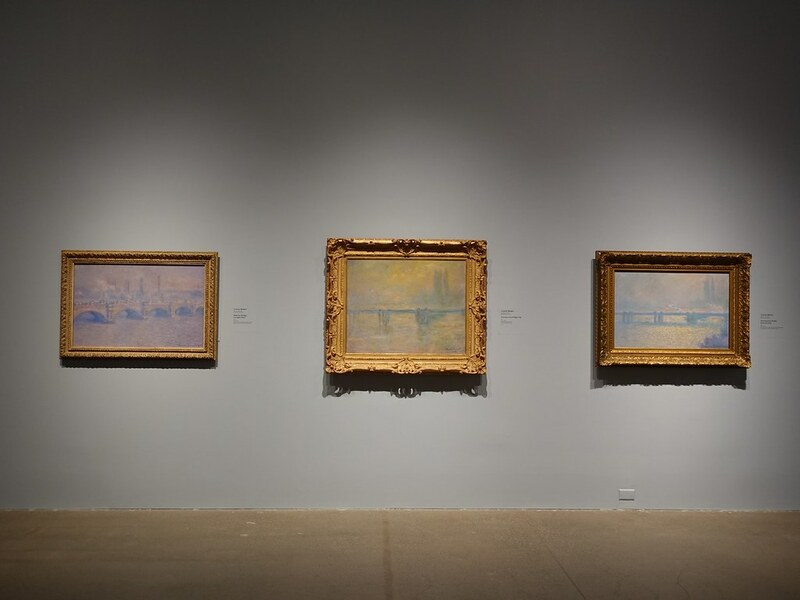 Monet was struck by the way that light filtered through London’s smog, which was caused by the smoke from factories. 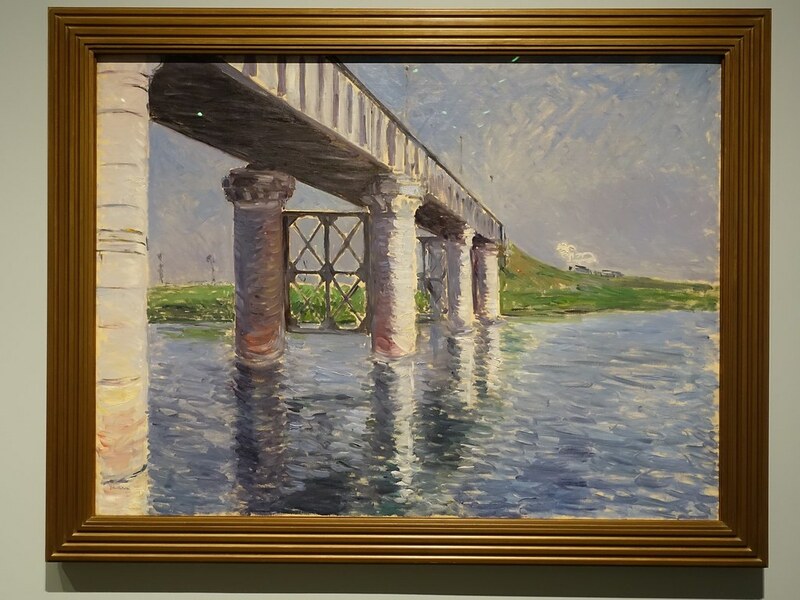 This exhibition expands our understanding of Impressionism to more fully encompass the lived realities of the period and people. We see a journey that illustrates the experience of life in a time of immense change and that is a journey that feels relevant to us today. 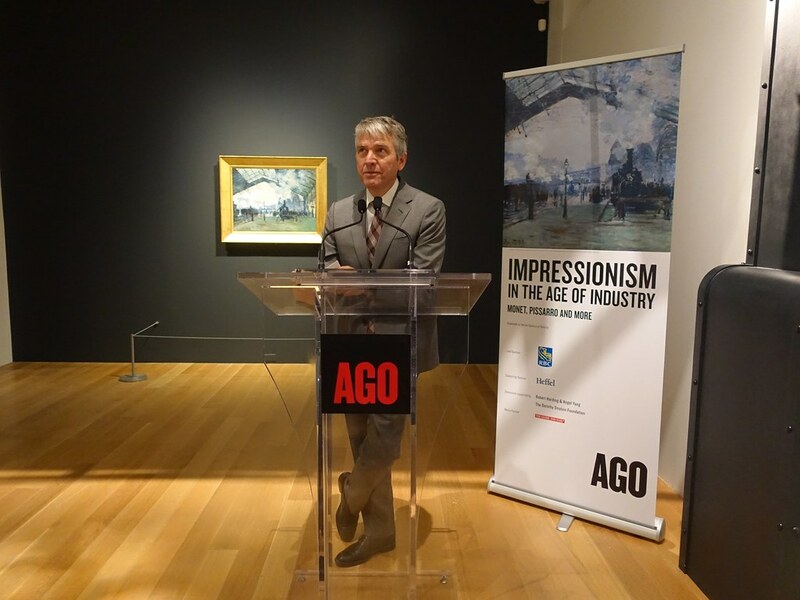 Here in Toronto, like in a lot of changing cities around the world, this change is thrilling and exciting but also comes with a lot of challenges. 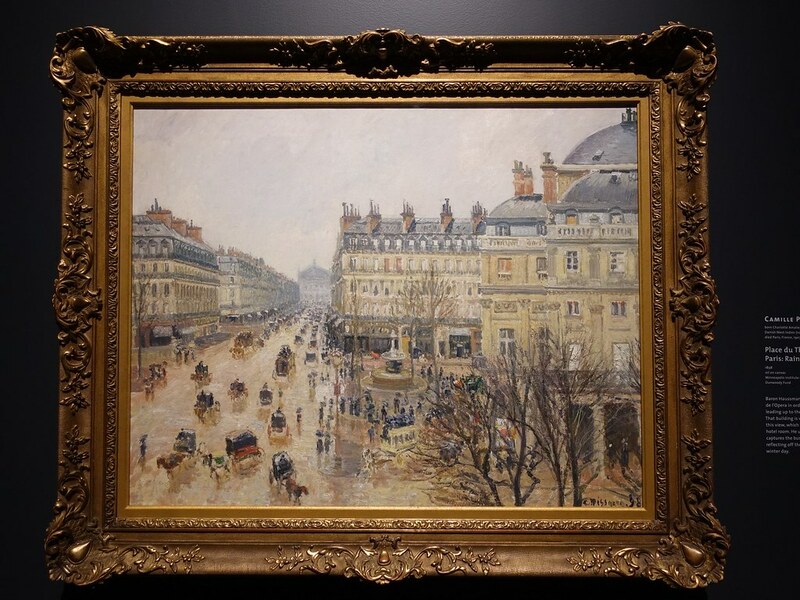 Whilst Parisians were familiar with demolition and construction in the second half of the 1800s, in Toronto we are also experiencing a construction boom now. 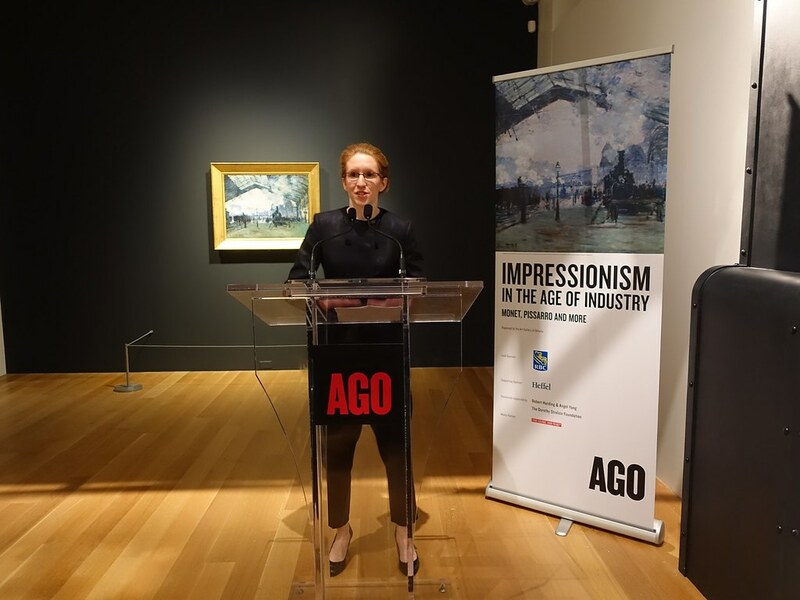 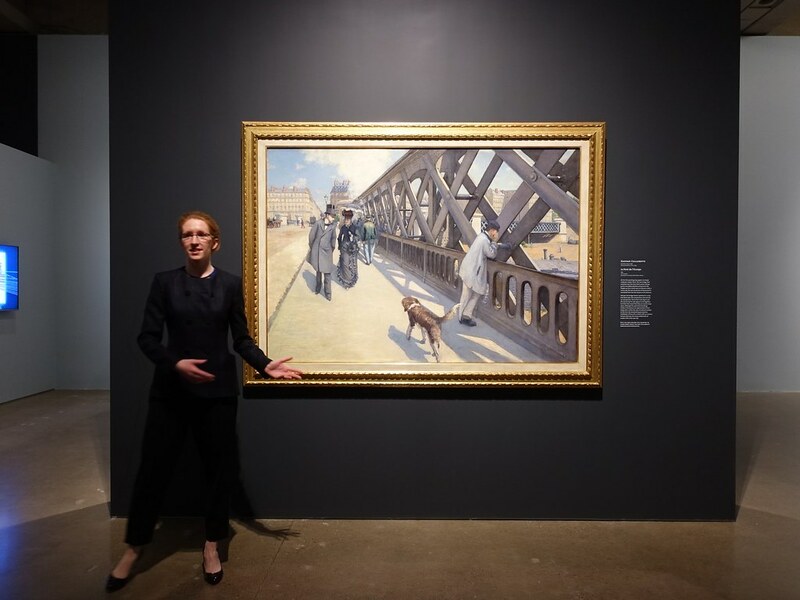 “Impressionism in the Age of Industry: Monet, Pissarro and more” is organized by the AGO and curated by Dr. Caroline Shields, the AGO’s Assistant Curator of European Art. Dr. Shields led the Press Preview on a tour of the exhibition. 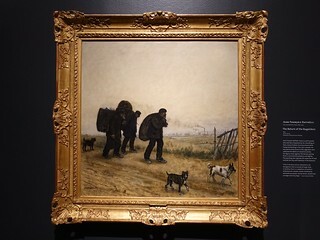 The exhibition runs from 16th February to 5th May 2019.